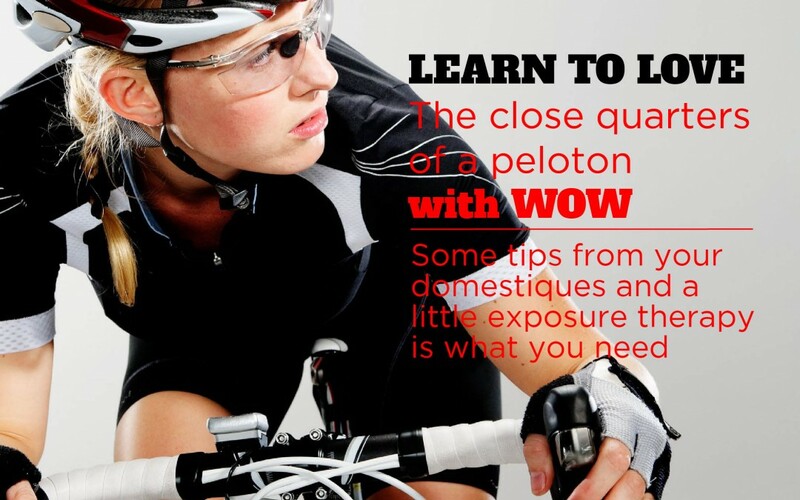 Road cycling is one of the fastest growing sports for women over the age of 40. Cycling is such an enjoyable and sociable form of exercise, and such a friendly sport. 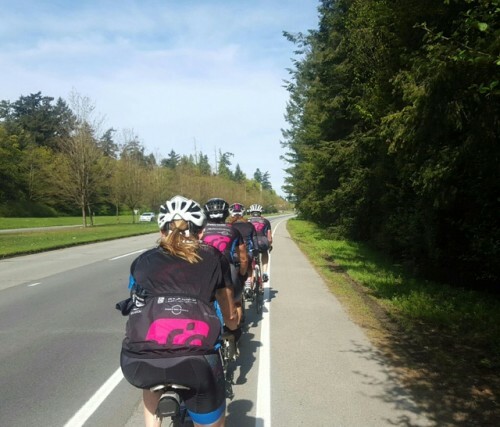 Whatever the catalyst that gets you started albeit charity ride or persuasive friends, there is one component of this social sport that can make or break your experience: The Group Ride. The good group training ride, is where the heart of road cycling beats. It’s where riders are formed, where technique is learned, where friendships are made, where riders learn to look after one another. Now that is a nice paceline ladies! The rider in the rear is most susceptible to getting dropped (because of the gaps that open up). We put a strong rider on the rear to help prevent this. 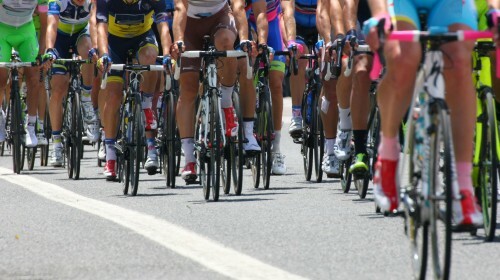 New riders who think they can avoid a tight situation by hanging out at the back will learn quickly that this is not the best place for them. The goal of group riding is to get in close proximity with others and to get used to the harder efforts required to keep up with the pack. It’s an opportunity to learn new skills, gain confidence and push beyond your usual limits. Group riding can also benefit the more experienced riders and can be helpful in our training as “mini-race” efforts as they are often fun, competitive and create opportunity to build race skills. However, many new riders experience a phenomena known as Pelatonaphobia . AKA pack-riding anxiety – When your arms and shoulders lock up and your wheel get squirrelly any time a fellow rider comes within an arm’s length. This condition often results in nervous looks from fellow cyclists during group rides and frequently causes ungainly gaps to open. Scary at first, exhilarating later. Your domestiques will help you learn the skills to feel confident in this situation. The goal for riders is to become confident members of the peloton, not merely someone who is sort of fast on a bike. Membership is the point. Come on group rides if you are interested but most importantly willing to learn group riding skills and safety techniques. Good ride leaders (Domestiques) will help you learn new skills, encourage you to push your edge to stay with the pack and will ride next to you. Not only for support if need be but to find out a little about you. Your goals, skills, interests. So we aren’t usually sprinting in a pack (we save that for the finish line), however we are learning to gently control our speed, power and movements on the bike so we can ride as a group. To not wear underwear under your cycling shorts. To ride in a straight line. To know when to ride single or double (if ever) pace line. To hold your line and close the gap. 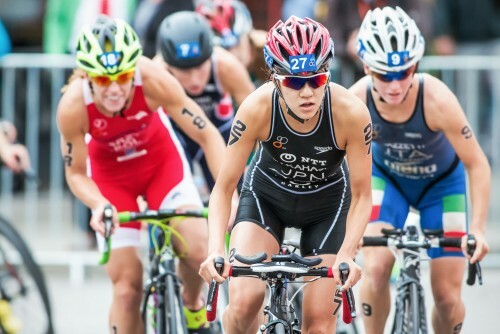 To brake less, and soft pedal more, especially in a pace line. The ride leaders or Domestiques are serious about their roles, because the safety of the group depends on it. If you are interested in following along, learn group riding skills, become stronger, and make some fantastic like-minded friends, join a cycling club and be a part of something spectacular. The Peloton.